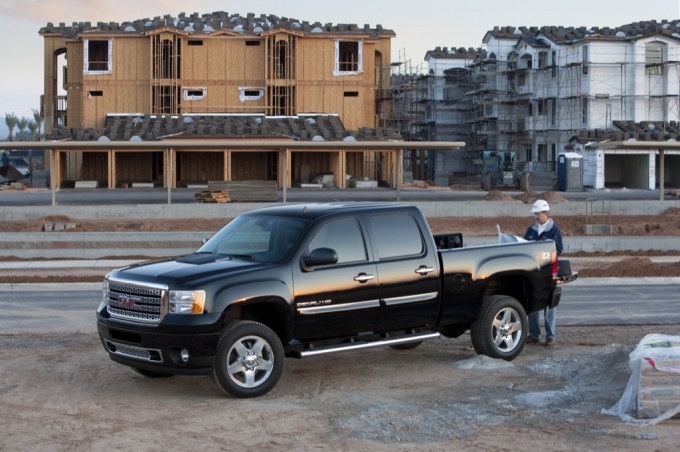 Pickuptrucks.com is reporting that GMC is going to unveil a preview of its next generation Sierra HD at the North American International Auto Show in Detroit in January. For the 2011 model, GM introduced an all new chassis and an updated Duramax diesel V8 engine, but the body style has remained the same since its mid-2007 model year launch. More news to come when GM officially announces the concept, we’re looking forward to it! This entry was posted on Friday, November 19th, 2010 at 3:17 pm	and tagged with duramax, gmc, naias, sierra, sierra hd and posted in Uncategorized. You can follow any responses to this entry through the RSS 2.0 feed.